CERTH team is practicing on playing Tetris using Eyes and Mind! The testing prototype is ready, although the members of CERTH team are still struggling to clear the first row! There is still a lot of distance to cover but the preliminary results are quite encouraging that we will actually make it. Some of the problems we are facing result from the multimodal nature of the attempt. Using your Senso-motoric Rythms – SMR (thoughts) to rotate the tile while, in parallel, using your eyes (gaze) to place the tile in the appropriate position, seems to be very challenging. 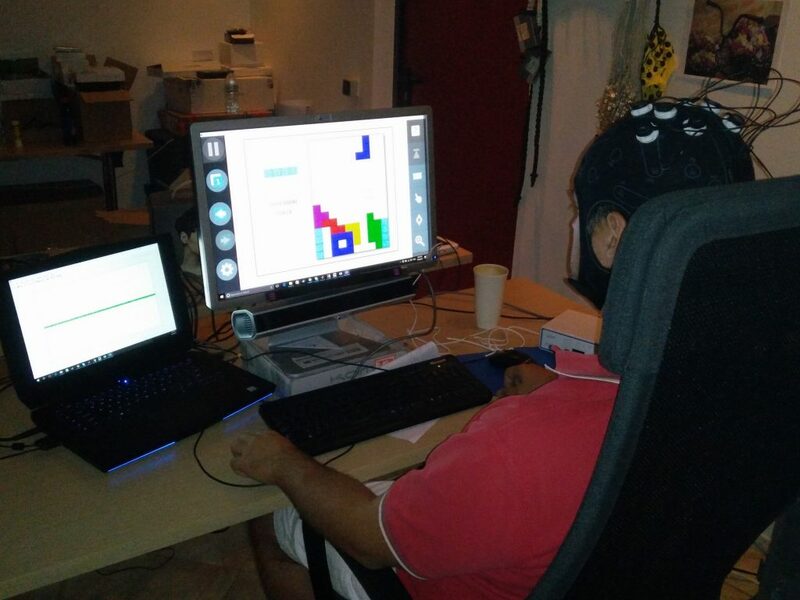 Nevertheless, we have just started to train our SMR classifiers and we are using our most BCI-literal subjects to crack the problem. We expect that more training (both for the classifier and the subject) will lead to more robust manipulation of the tiles.